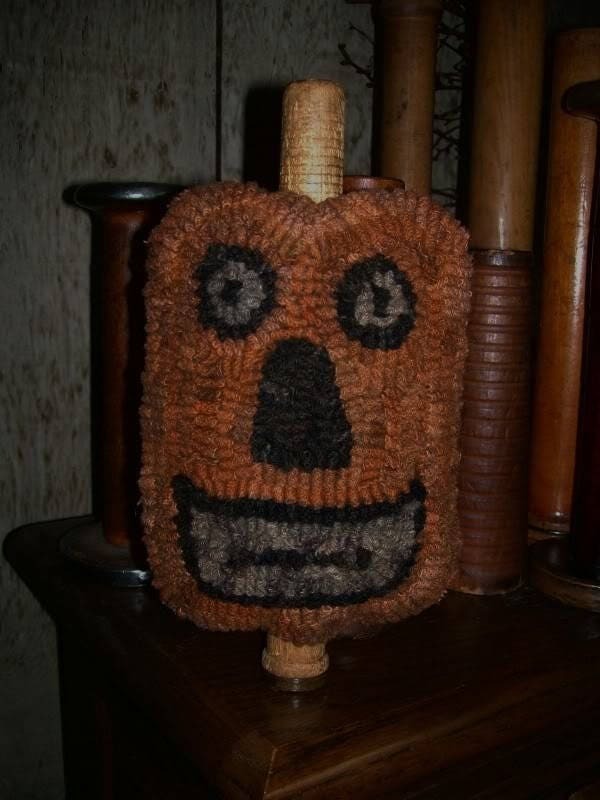 Rug Hooking Jack O' Lantern Make Do pattern created by Hooked on Primitives. You get a full size pattern, detailed instructions for hooking and finishing, and a cover photo to follow. Finished it measures to be about 5 1/2" x 9." The pattern can be re-sized as you wish.